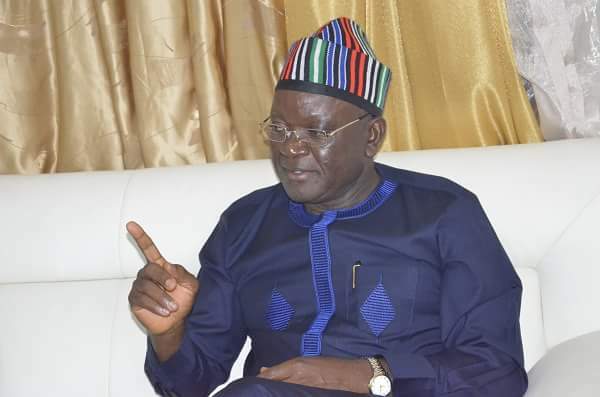 All Progressives Congress, APC, in Benue State has accused Governor Samuel Ortom of plot to dole out huge sums of money to electoral officers in a bid to retain his seat at all cost. In a statement, yesterday, by chairman of the party in the state, Abba Yaro, APC said to achieve this, the governor had set aside varying sums of money with which to induce staff of Independent National Electoral Commission, INEC, and ad-hoc staff employed to assist the commission in the conduct of the exercise. The statement read: “Nigerians would recall that the governor had on various occasions boasted that he was going to win the forthcoming elections by all means. According to the plan by the governor and PDP in Benue State, INEC ad-hoc staff in the 5,102 polling units and voting points will be given N75,000 for refreshment, amounting to N382,650,000. “In a similar manner, Ward Collation Officers in the 276 council wards in Benue State are to go home with N150,000 each. It is further alleged that each of the 23 local government electoral officers, EOs, will get N1,500,000 as ‘understanding’ fee. The Resident Electoral Commissioner, REC, Benue State is not left out in the largess as N500 million has been earmarked for him to be paid through a royal father in the state. “The Benue State governor has not initiated and completed any project in the last four years and setting aside these huge amounts of money to buy votes would amount to playing on the sensibilities of the Benue electorate especially those who are vulnerable.